This image shows warm-season flows on a north-facing slope in middle southern latitudes of Mars. It was taken by the High Resolution Imaging Science Experiment (HiRISE) camera on NASA's Mars Reconnaissance Orbiter on June 24, 2011. The season was summer in Mars' southern hemisphere. 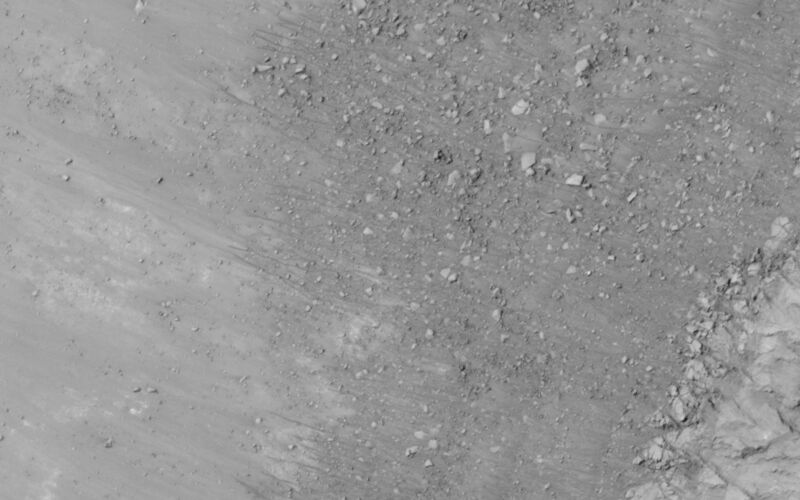 The flow features are narrow (one-half to five yards or meters wide), relatively dark markings on steep (25 to 40 degree) slopes at a few other southern hemisphere locations. Repeat imaging by HiRISE shows the features appear and incrementally grow during warm seasons and fade in cold seasons. Sequences of observations recording the seasonal changes in these flows might be evidence of salty liquid water active on Mars today. 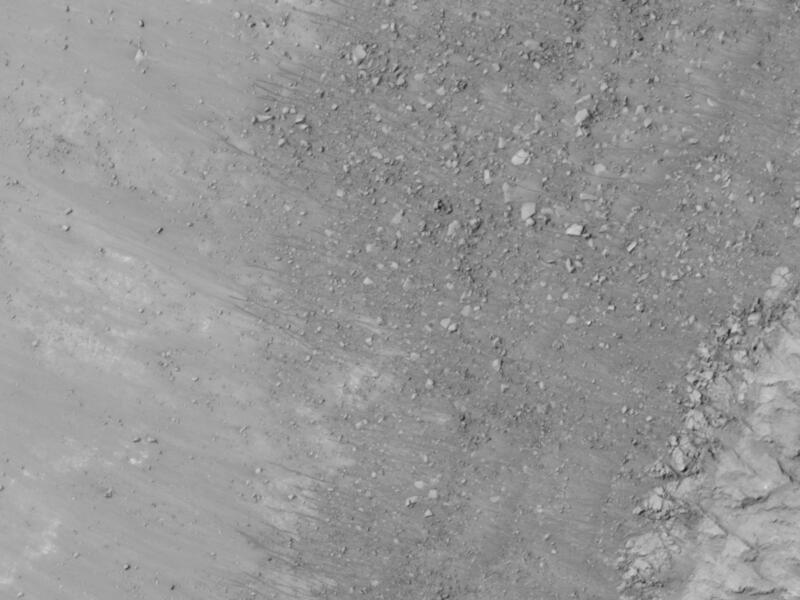 This image is one product from HiRISE observation ESP_023007_1410. 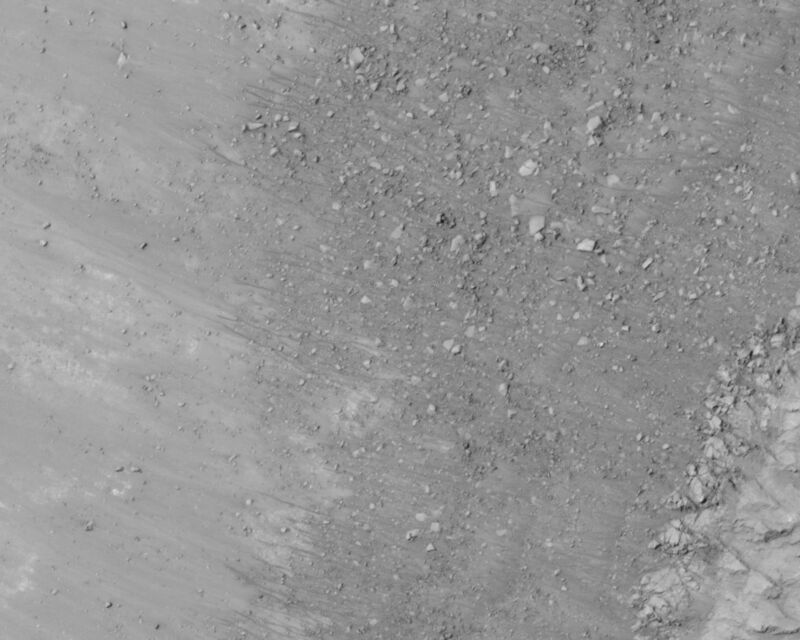 Other image products from this observation are available at http://hirise.lpl.arizona.edu/ESP_023007_1410.